The debut album of the project named SILENTIUM was presented to judgement of listeners in autumn of 1995. This capacious word was reflection of the author's calm state of soul. At the same time being a drummer of extreme metal band NOKTURNAL MORTUM the author tried to evade emotionally impetuous compositions dedicating his own creative activity to darkly melancholic keen feelings of anxiety for fate of Mother Nature. 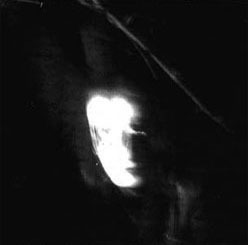 SILENTIUM's demo "The Ancients' Wisdom" includes 18 electronic compositions that were written during the period from 1988 to 1993. They were recorded using a non-professional double-cassette tape recorder by means of repeated re-recording. That's why the album had rather mediocre sound and was arranged in minimalistic manner. The second brainchild was born in spring of 1997. Although "Yav', Nav' i Prav'" was recorded in the same primitive manner, it turned out to be brighter and more "grown-up" than the first-born. 10 tracks flow smoothly from one to another and are listened to without taking a breath. All of the tracks are bound by a common conception of Slavonic Aboriginal Religion's renaissance. That's why the demo was called by the name of the most ancient Weltanschauung of Slavonic Nations. This Weltanschauung is the basis of all Being: the Real World, reality; the World of the Dead Ones inhabited with Spirits, and the Law of Gods that keeps both Worlds in equilibrium. The author understood subsequent incompatibility of his idea with the project's name in Latin and decided to give a new name to his creation. After a long quest the author made decision to take his own pseudonym MUNRUTHEL, which he used playing in Nokturnal Mortum, so the new album "Yav', Nav' i Prav'" was released by ORIANA as MUNRUTHEL, and it was the beginning for something new. Then, in summer of 1999, Munruthel recorded his offensive epic sympho-ambient album "Oriyanskiye Skazan'ya" ("Oriana's Tales") also in domestic conditions, but using eight-channel digital equipment. 12 compositions being recorded in non-stop manner for 66 minutes will immerse you into the World of GODS, Spirits, Slavonic Wizards and Mysteries. The demo is adorned with wonderful lyrics written for all tracks including instrumentals. The album had been distributed in C.I.S. countries as well as in foreign ones, and became the favourite work of art for many listeners. An official web site and several unofficial ones including articles, reviews, lyrics and printed music appeared in Internet. A great number of letters addressed to Munruthel was received by ORIANA. 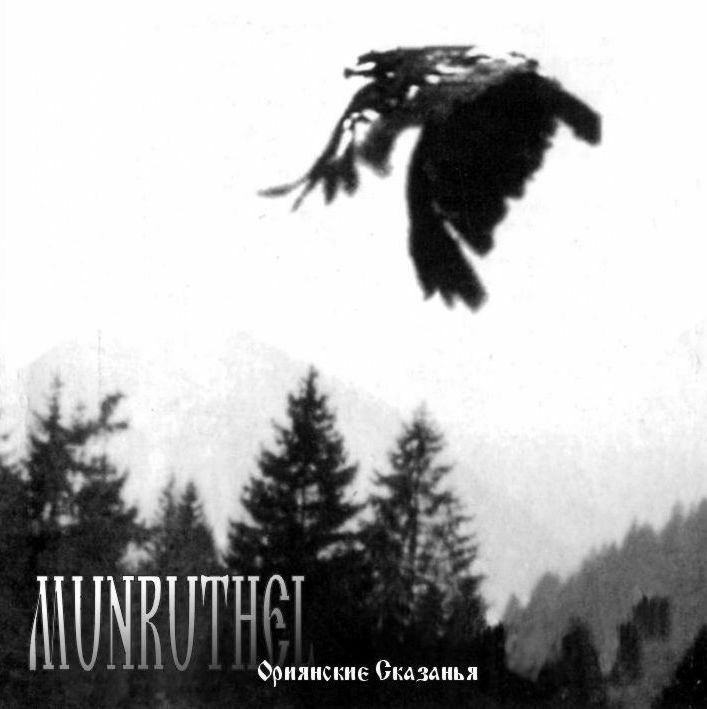 Munruthel left Nokturnal Mortum after a record-session of "Nechrist" CD because of an inner conflict and mustered a full value band: G. Sevruk (Munruthel's student) - drums, Wrolok (Runes Of Dianceht) and Bal-a-Myth (Lucifugum) - guitars, Saturious (Nokturnal Mortum) - keyboards, Munruthel - vocal and bass. As before, Munruthel did all the music and arrangements - the same sympho-ambient with metal sound. Six compositions were prepared on rehearsals to be included in MUNRUTHEL's new album. Then a live performance on KOLOVOROT Annual Festival of Pagan music followed, Munruthel was back to Nokturnal Mortum, and as a result he lost his interest in his own solo-project. The new long-awaited album of Nokturnal Mortum was finally released in 2003 after long painstaking rehearsals and the same record session that prolonged for a year. A new more serious inner conflict made Munruthel to put an end to his part of Nokturnal Mortum history. A qualitatively new project was formed in summer of 2003. Munruthel managed to develop his home studio and new self-requirements to sound, composition and arrangements were appeared. The author started working also as a multimedia composer using various loops, grooves, ethnic samples as well as live instruments, e.g., flutes, sopilkas (Ukrainian folk pipes). The last became possible owe to an amazing intimate familiarity with a professional flutist Ann, who became a part of the composer's music and life. The project's style remains the same - it is a kind of soaring ambient, but with strongly pronounced folklore leitmotif and powerful clear-cut (almost rock) rhythm-section. The new project's name became a title of a never-recorded MUNRUTHEL's album - "K O L O" (CIRCLE in Ukrainian in its Sacral meaning). Saturious (Nokturnal Mortum) - keyboards. With this lineup they performed once at Kolovorot Festival, then it was split. Munruthel was all by himself again, you can hear live recording of this lineup on "Oriana's Tales" 2004 re-release.